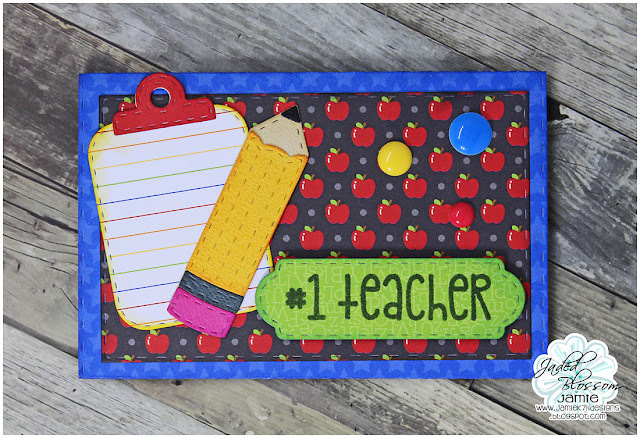 Jamie here and with Teacher Appreciation Week coming up I created a gift card holder! I started with the Folding Gift Card Die and added a layer with the Goody Bag Die insert. Then I stamped a sentiment from School Time Greetings to a Mini Tag Die 2 and pop dotted it. Last I added the pencil and clip board from School Dies to the front! Super cute gift idea for a teacher!! !